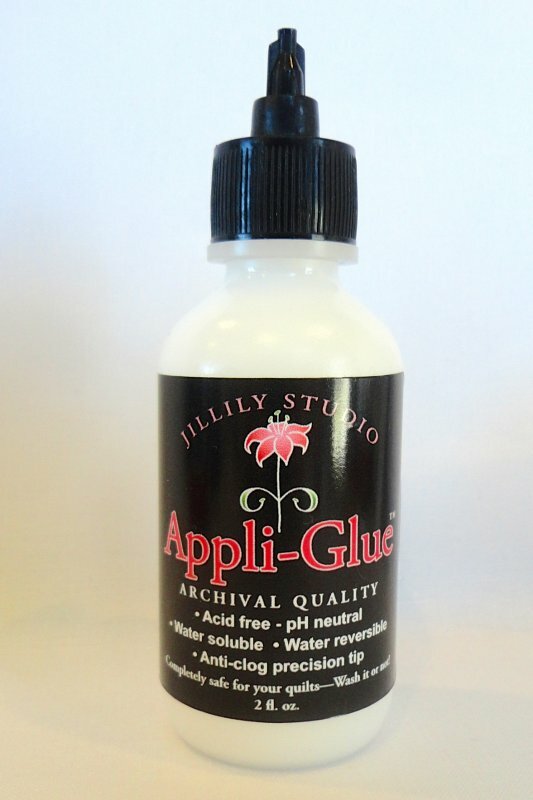 Appli-Glue is a basting glue that keep applique pieces in place until they're ready to be sewn down. The pink tapered tip allows you put a tiny drop in the seam allowance of your prepared applique piece. The tip is made of nylon, so it does not rust, and can twist off to clean if needed. -The new taper tip will allow glue to drain back into bottle. -Completely safe for your quilts — Wash it or not! Product includes 2 oz. bottle of glue, pink precision tip, and tip cap. No need to purchase a precision tip separately!